Buying Or Selling A Home? 10 Reasons To Love Using A Realtor. Thank you Nina Hollander for this fun post and great video for this Valentine Day Season! It's Valentine's Day tomorrow... and love is definitely in the air! 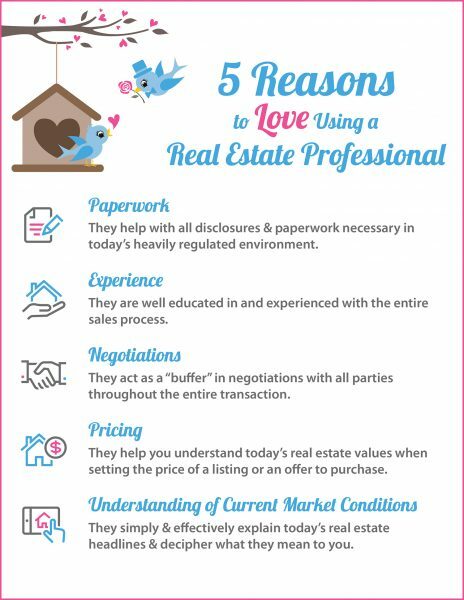 Valentine's Day is also a good day to take note of five reasons you should love using a real estate professional if you're buying or selling a home in the Charlotte metro area. Whether it is your first time purchasing or selling a home, or whether you’re an experienced buyer/seller, there are hundreds of actions that happen during the course of each successful real estate transaction. Someone to guide you through the process, who can explain what is going on at every step of the way can be very helpful in ways you can't anticipate. When you start the process of buying a home, you may be too excited to see each potential home for what it is, both good and bad. An experienced agent can help you understand the potential hidden gems or risks before you make an offer. And if you're a seller, an experienced agent can help you understand aspects of your home that may hinder the sale and what can be done to position the home in a more positive light. Whether you're moving to a new state, or just across town, having someone who knows the neighborhoods in which you are looking can be an invaluable asset. An experienced agent has relationships with mortgage professionals, home inspectors, appraisers, contractors, movers, and other experts you'll need whether you are buying or selling a home. 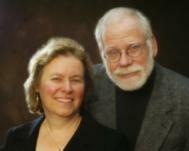 Their contacts can make the process of buying, selling and moving in and out of a home much smoother. If you're selling your home, you need your home to get the maximum exposure to the greatest number of potential buyers. An experienced listing agent can market and expose your home to a degree that no individual seller can achieve. And with 90+% of home buyers beginning their search on the internet, it's critical to have your home show up where the buyers are looking. It's also worth mentioning that in a for-sale-by-owner, buyer’s agents know there won't be a professional on the other end of the transaction, which can mean numerous headaches. Even if a client insists on seeing your home, their agent might discourage making an offer, citing the hassles and risks of trying to close the deal without a professional representing the seller. Video: How To Know If You've Found The Real Estate Agent Of Your Dreams! Whether you're buying or selling a home or doing both, the love for your real estate agent can continue well past Valentine's Day, as using a real estate professional could well be the best decision you make when selling or buying a home. This information is provided by Nina Hollander and Carolinas Realty Partners with Coldwell Banker Residential Brokerage, your Charlotte metro area residential real estate experts. We've been opening doors for happy Charlotte area home buyers and sellers for 20+ years. We'd love to be the Realtors® of your dreams this Valentine's Day and beyond! "The Right Broker Makes All The Difference." Oh by the way, I'm never too busy for any of your referrals! 8 things to do to your house, before selling!